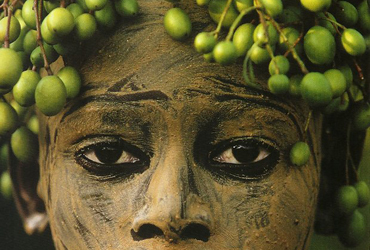 Costumes, customs and ritual attire. 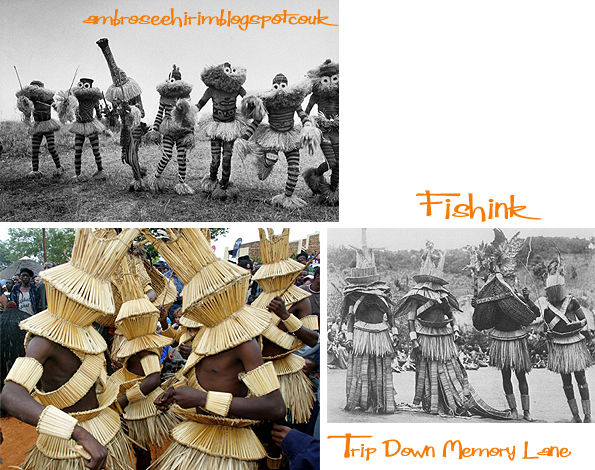 For some time now I’ve been collecting images of tribal and English costumes. Quietly putting them to one side, not quite knowing what I might do with them, but finding them both fascinating and intriguing at the same time. I was recently reading some very old scrapbooks I had assembled whilst a student in the mid eighties, and I realised that my interest in this area had originated way back then. These images are taken from my 1980’s scrapbooks. 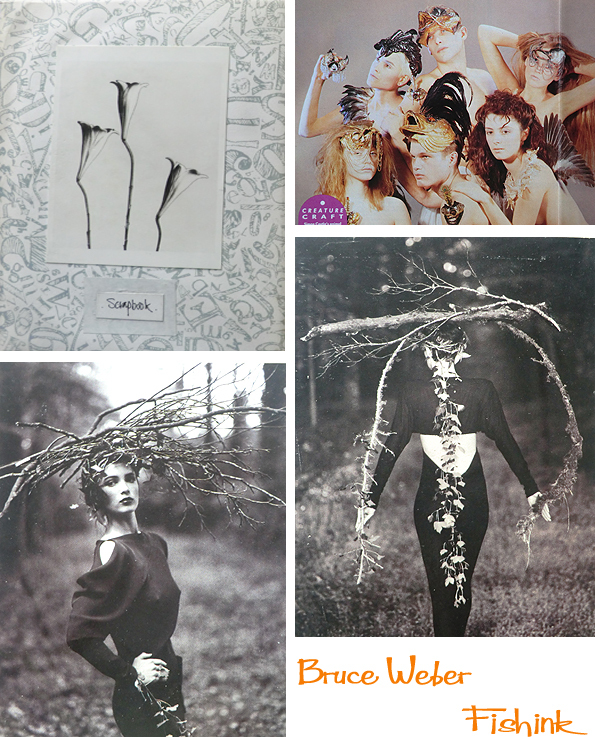 The Bruce Weber photographs probably initially sparked my interest in the idea of people using foliage as body adornment. 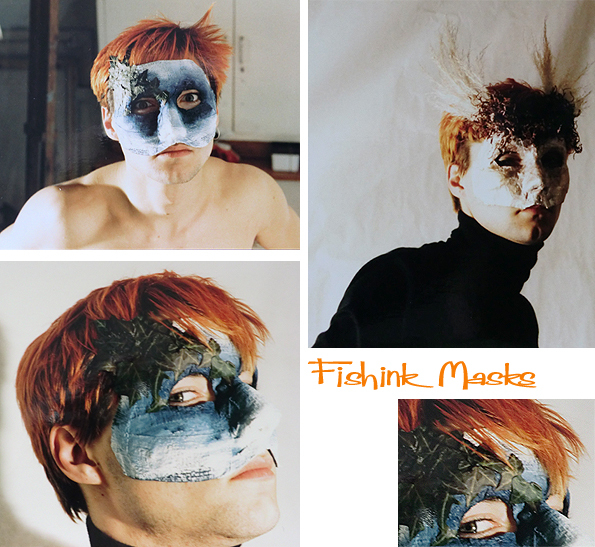 These were a couple of masks I made in my first year at Fashion collage in 1984, no I’m not the model, (I think his name was Peter Morris) I’m the photographer. Although I did remember liking his Toyah inspired hair colour lol. 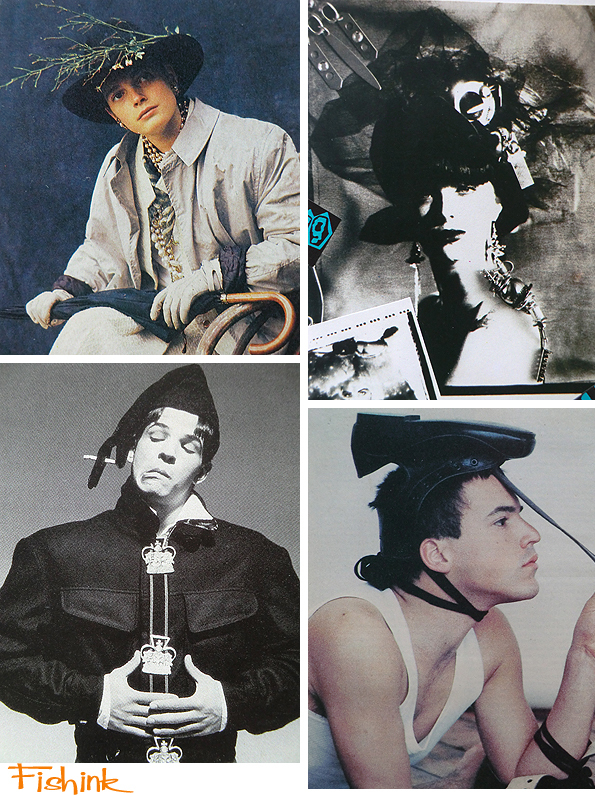 These images were taken from eighties magazines such as I.D. and The Face. Last year I came across this fascinating book from Merrell Publishers called ‘Mummers, Maypoles and Milkmaids’ by Sara Hannant. It features photographs capturing festivals and ritual costumed processions that are still happening in the UK today. I believe there is an exhibition of Sara’s photos due to be exhibited at Forty Hall Estate in Enfield, from April-July this year. You can get copies of the book here. I imagine that the idea of being adorned in straw or flowers has been around for quite a while. In England during the Early Medieval period, various forms of folk magic could be found amongst the Anglo-Saxons, who referred to such practitioners as wicca (male) or wicce (female), or at times also asdry, practitioners of drycraeft, the latter of which have been speculated as being anglicised terms for the Irish drai, a term referring to druids, who appeared as anti-Christian sorcerers in much Irish literature of the period. I imagine that costumes were used to ward off bad spirits or as parts of festivals to celebrate good harvests or to give praise to the gods or spirits of the land, which would help ensure healthy crops and good hunting stocks. I was amazed to see how similar some of the English traditional folk costumes were to those of other countries. I discovered an equally beautiful and (slightly scary) set of world costumes, wonderfully captured by French photographer Charles Freger. 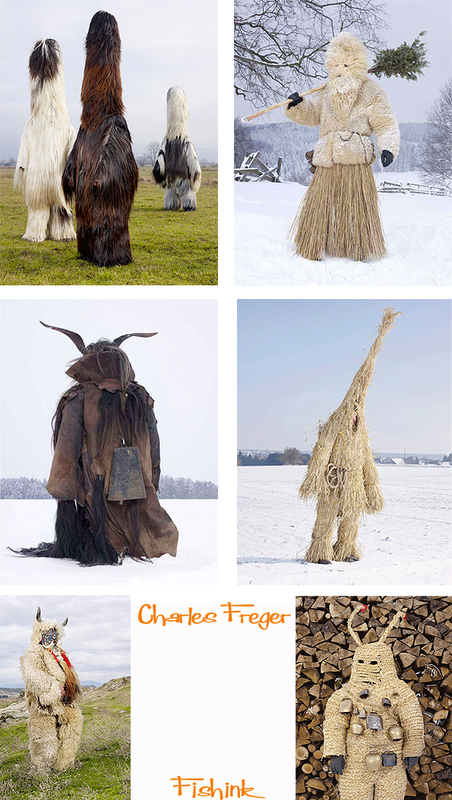 Charles had spent a long time in many different countries capturing these amazing outfits worn in their natural habitats. 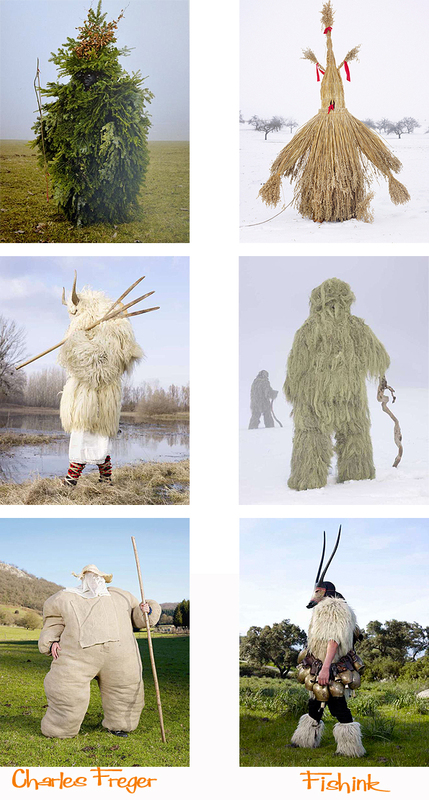 Can you imagine bumping into someone one evening, dressed in any of these costumes whilst you’re casually camping in a remote area, halfway up a hillside in Spain, Austria or Finland ! More here. 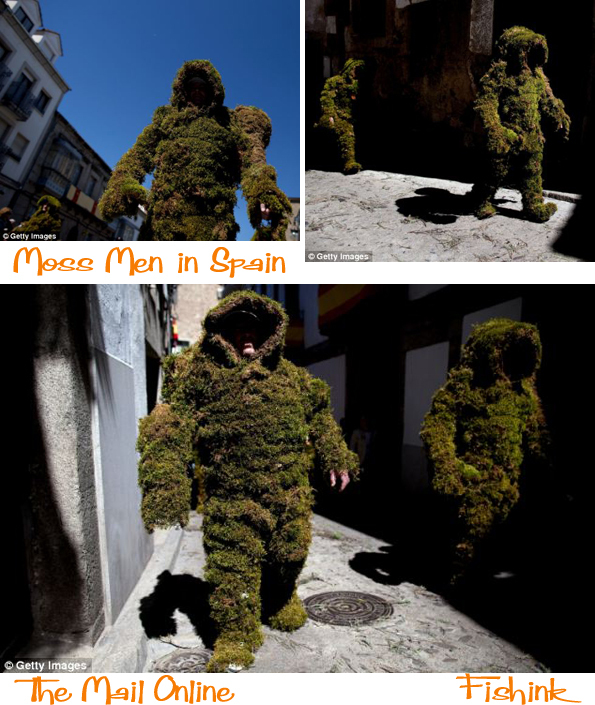 Only last summer there were Moss Men featured by the Mail online roaming around Spain. The more I looked into this I found it oddly comforting to discover that every country had their own version depending what was locally available to wear and fashion into a garment. 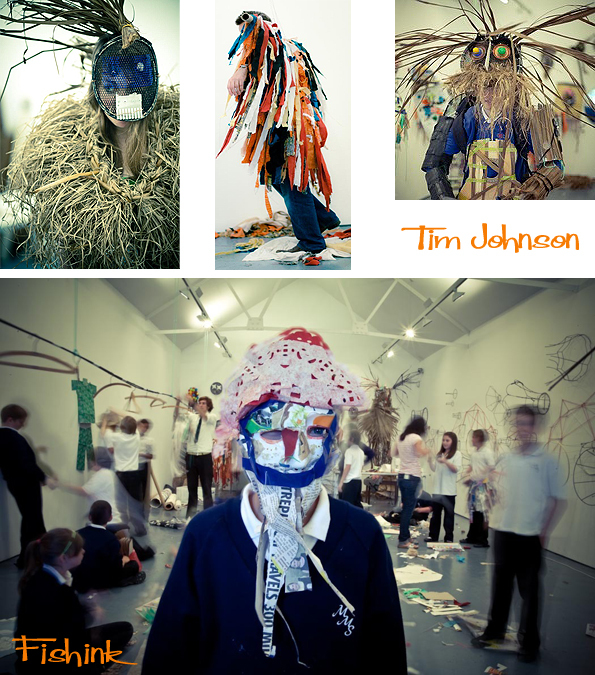 Artist and Basket maker Tim Johnson is currently using his skills to play with the idea of costumes today. Here’s some he made with a group of children in a school workshop. Of course we also think of countries such as Africa, as still having a strong links to the idea of wearing straw, face painting, and body adornment. Here’s some images I found on a couple of sites. 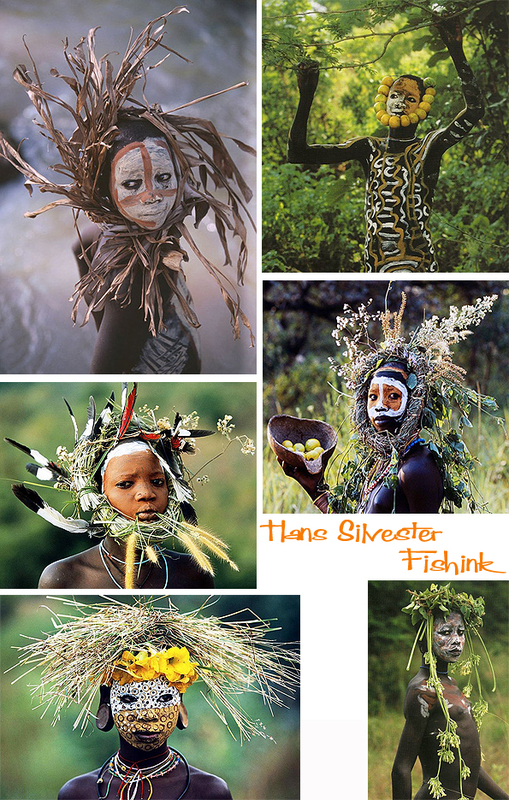 And these wonderful shots by Hans Silvester who’s work is covered by the Marlborough Gallery in NY. Which in a way seems to bring us full circle from Bruce Weber to Africa. If you’re interested in exploring more about costume, Hazel Terry has created a fascinating site called Thread , Fashion and Costume which is well worth having a search through. Absolutely TOP NOTCH. Is the man covered in leaves by the Underground station by any chance Jack o’ the Green? I recall my Uncle Jim telling me about his youth- which would have been the late 19th century- his father was a Chimney Sweep and traditionally a sweep was chosen to be Jack o’ the Green each year and it was considered a great honour to be chosen as his father was one year. There is a lovely painting recording the event in the London Museum. Spot on Sherlock ! It’s called Jack-in-the-Green. The book says that Illustrations and diary entries from the 16th and 17th centuries describe how people made garlands of flowers and leaves to wear as headdresses in May Day processions. In the late 18th century the chimney sweep’s garland became so big that it covered the entire man. Jack is thought to be the embodiment of man and nature celebrating the return of summer. What a lovely story you’ve shared too. Fabulous, thanks for the link. Woah – those world costumes are incredibly scary! I certainly wouldn’t want to meet any of those characters.